My Diaper Bag This is my affiliate* link to the exact bag I have. I got my bag on Amazon! It is the Leather Diaper Bag Backpack by Miss Fong. It also comes in different colors like olive, black, blush, navy, red, and gray. It is very similar to the Fawn Design diaper bag, but the inside has mesh pockets instead of leather, which I like because it is more flexible and lightweight! Like my Youtube Channel? Subscribe here! How does marriage change after having a baby? What about when they enter toddlerhood? When you have a baby, it can be challenging to juggle the new dynamics of parenthood and marriage. I want to share a resource that I love with you that will help you zoom out and take a look at your marriage and how it has grown and changed after having kids. 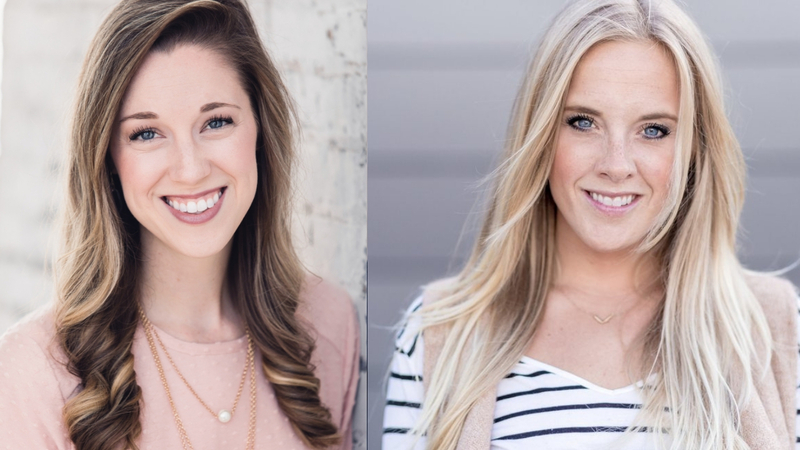 I am so excited to introduce you to my friend, Kensi Duszynski. I have been listening to her podcast every week since the very first episode came out this summer. If you enjoy my teaching style, I think you are going to love listening to her. Kensi is a licensed marriage and family therapist, certified professional coach, and host of the Brave Marriage Podcast. Kensi specializes in working with engaged and married couples. What if you had never seen the leaves change color in the fall before? What if this was the first year you had experienced stepping on a crunchy fall leaf? For our toddlers, the world is filled with wonder and new experiences. Let's be their guides and surround their new experiences with words that they can learn to store up in their brains to use to have conversations with us in the future. 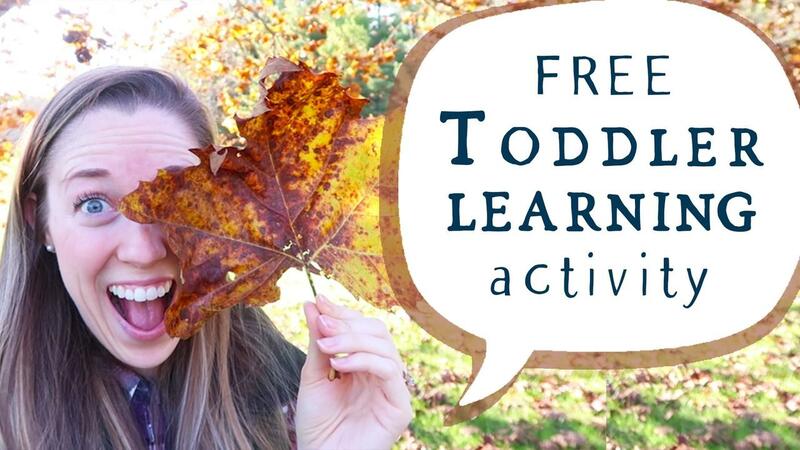 How can you use fall leaves to help your toddler learn new words? In this video you'll learn how you can look at any object through my blueprint so that you can introduce your toddler to new vocabulary while you do normal, everyday things...like playing in the fall leaves. If you're looking at this leaf and thinking, "What else is there to say than...its a leaf?!" this blueprint is for you! Getting out the door on time with a toddler? Noel, a Music Therapist, shares her tips for helping your toddler transition from one thing to another. Using music can help you address this issue at the same time. These books are toddler-tested and approved! This post includes affiliate links to the books for your convenience! If you click on one of the product links and purchase something, I’ll receive a small compensation (at no additional cost to you). This help allows me to continue to make videos and resources. Thank you for your support! Wondering what the normal attention span is for toddlers? when you give your child your full attention, without any distractions, then your children can learn from your model. When you fully attend it also helps you feel confident in how to comment and join in with their play. allow your child to develop independent concentration by giving them time to follow their own train of thought. Follow what they are playing with, rather than directing their play. When language skills are starting to develop, toddlers can't say what they want, feel, or need, and they get frustrated and start to act out and display behaviors to try and communicate. Behavior is their way of communicating. Your role is to teach them how to be self-aware and communicate with words or gestures so they don’t melt into a tantrum. Communication is the key. 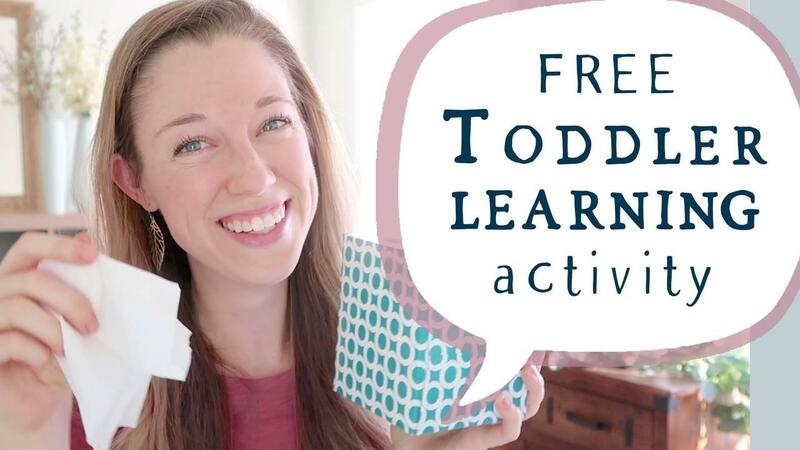 In this video, Adrienne and Terra share how to get toddlers and children of all ages to talk and communicate their emotions and feelings in a clear, concise way. Using simple activities, parents, caregivers, teachers, and speech-language pathologists can learn how to help your toddler talk more and understand more language so that they can communicate better. Learn More about the Sign Language Class Here.